Playtech started business in 1999, and operates a vast bingo poker, casino, sports betting, live casino, social gaming, fixed odds, mobile gaming, lottery, and binary options empire – it's certainly one of the most profitable, diverse, and largest casino software companies. Games are distributed online, via mobile, and through server-supported terminals. All products can be integrated into a single platform, and all games are compatible with one another. Operators wishing to incorporate Playtech games into their existing terminals are able to do so as a standalone application. Customers are able to fully integrate and easily manage an entire product suite, by using the Playtech complete management solution. Playtech is able to offer value-added solutions and cutting-edge products to the leading bingo and casino companies. Players can access games via mobile, broadcast, online, and gaming terminals, using a single wallet/single account. A system called IMS allows cross-platform capability – this information management system allows unification; operators can maximise cross-selling opportunities, player loyalty schemes, and player yield. What's more, there is a turnkey operational pack, which gives clients immediate access to cutting-edge service tools, all of which can enhance the performance and profitability of any casino system. It's always a seal of approval when a casino company trades on a stock exchange, and Playtech has been traded on the London Stock Exchange Main Market for many years now. Indeed, it is the biggest online gaming software supplier on the London Stock Exchange. Its success is built on a best-of-breed gaming portfolio, along with the forging of strong partnerships with clients. Well-known Playtech licensees include famous bookmakers, online operators, and bookmakers, such as Sky, Betfair, Paddy Power, William Hill, and Bet 365. Well-known partners in the entertainment industry include Marvel, NBC Universal, and HBO. As of February 2010, Playtech became owners of Virtue Fusion, who were a division of Gaming Technology Solutions. Virtue Fusion is the popular bingo division of Playtech, and players can play multiple variants on a multi-currency and multi-lingual network. The network has a peak traffic of more than 15,000 players. Playtech products stand out a mile, all 500 plus of them. With the recent acquisition of Ash Gaming, Playtech is now able to release around 50 games per year. The content library is overflowing with premium slot games, fixed pot games, plus table and card games. Brought to you from the same people as BGO, Power Spins is powered by NetEnt, Playtech, IGT and Barcrest software and has a huge selection of classic and new release slot titles. Vernons Casino is powered by Playtech and Wagerworks software. Slots include Iron Man 3, Spider Man, Kong and Avengers. Casino favourites feature as well as live casino. Jackpot247 is live on ITV every night. This casino is one of the most well known in the UK with software from Playtech and NetPlay TV. T&C's: GENERAL BONUS OPT IN REQUIRED. ONLY AVAILABLE ON FIRST DEPOSIT. 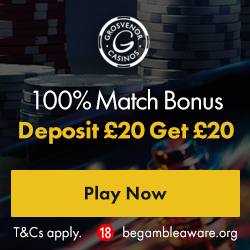 100% BONUS UP TO MAX £200. 25X WAGERING APPLIED FOR BONUS AND DEPOSIT. 30 DAY BONUS EXPIRY. NOT ALL GAMES CONTRIBUTE EQUALLY TOWARDS WAGERING AND BONUS FUNDS CANNOT BE USED ON CERTAIN GAMES. ELIGIBILITY RESTRICTIONS APPLY. FURTHER T'S AND C'S APPLY. Super Casino games provided by Playtech. T&C's: New customers only. 1 Free Spin for every £1 of first deposit up to £50, available on selected games only. Not available using NETeller or Skrill. 3-day expiry on free spins. £10 min deposit + 2.5% fee (min 50p). Cash balance withdrawable anytime + £2.50 fee. All bonuses are subject to wagering requirements on allowed games.Full T's&C's apply. 18+. Please gamble responsibly. BeGambleAware.